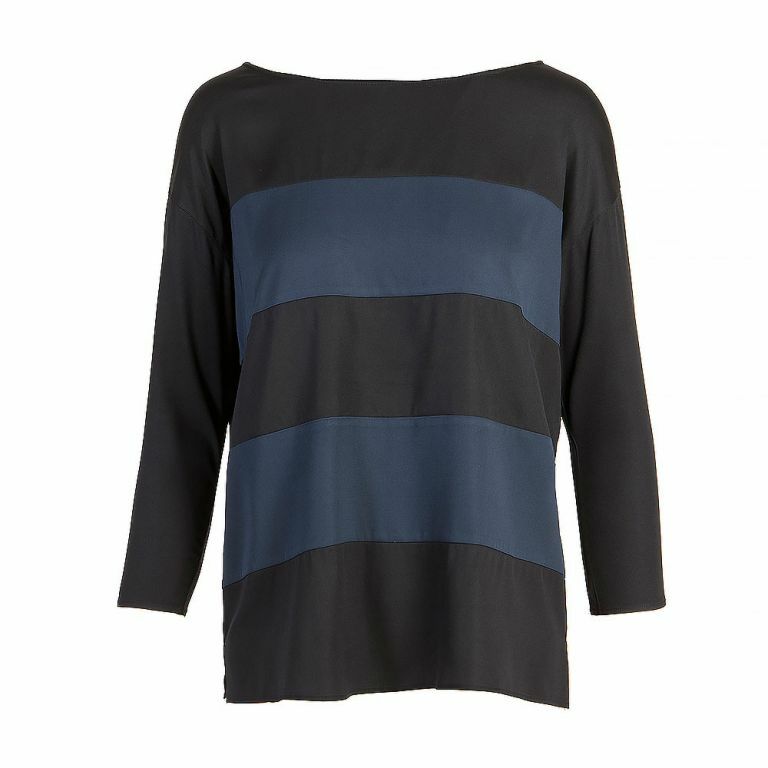 Size P/XS – Black and midnight blue three-quarter sleeve top with boat neck, striped print throughout and side slits. Twenty years ago, a pair of pants changed the way American women dress. Recognizing the need for clothes that felt great and fit perfectly, we developed an innovative stretch fabric that would dramatically improve a pant’s performance. These pants had the power to make women feel confident, smart, and stylish. 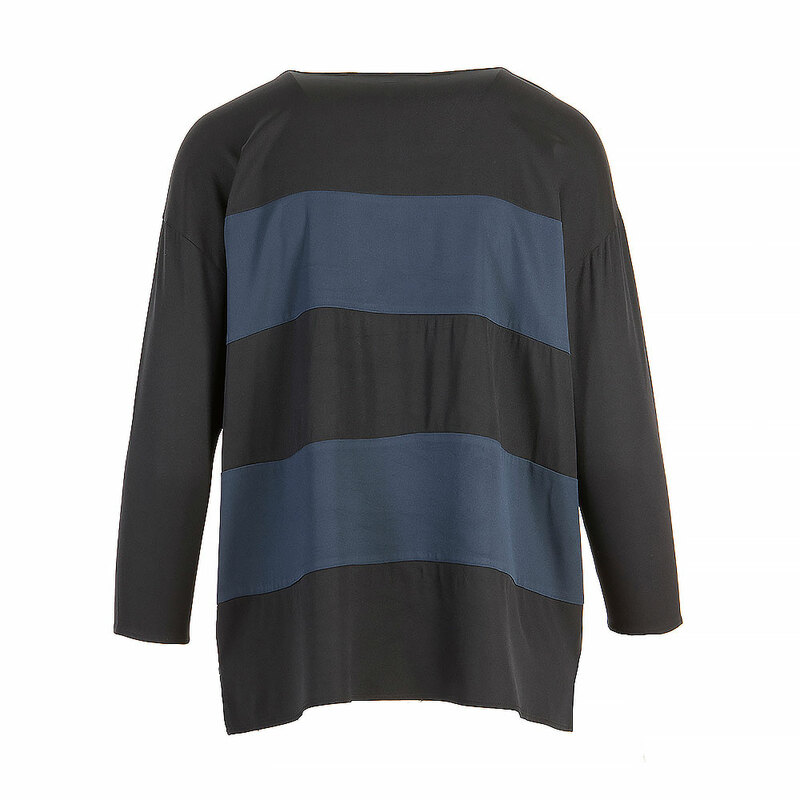 Never before had American sportswear been so easy to wear to work and everywhere else. When Theory for men was established, similar foundation principles were used, so that they, too, could get dressed in innovative, highly functional, and stylish clothes.